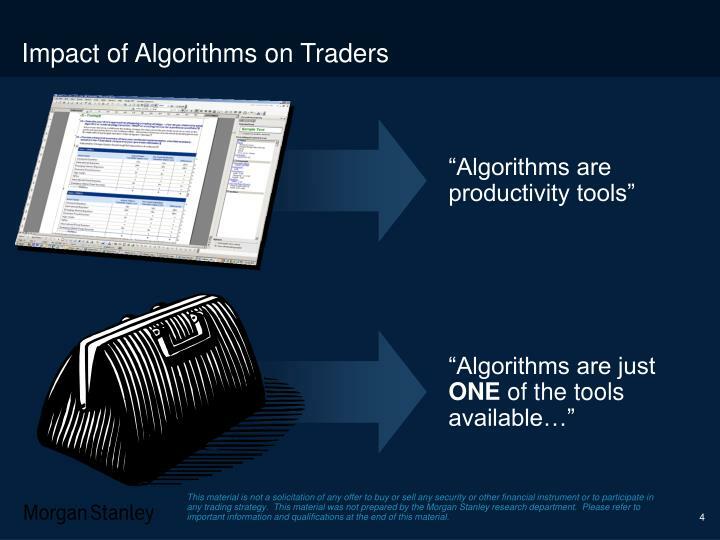 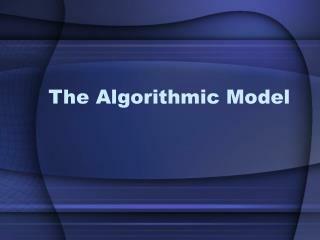 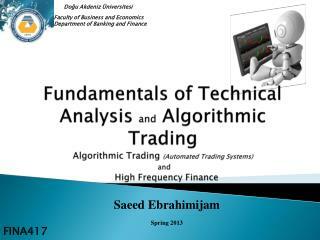 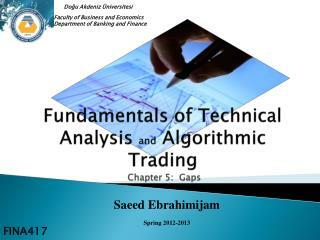 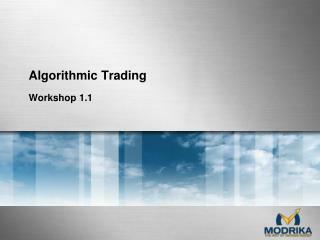 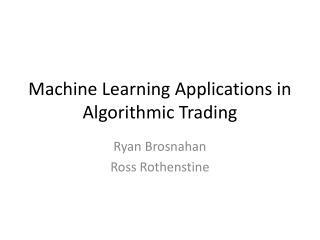 Algorithmic Trading . Equity Trading vs. Futures Trading. 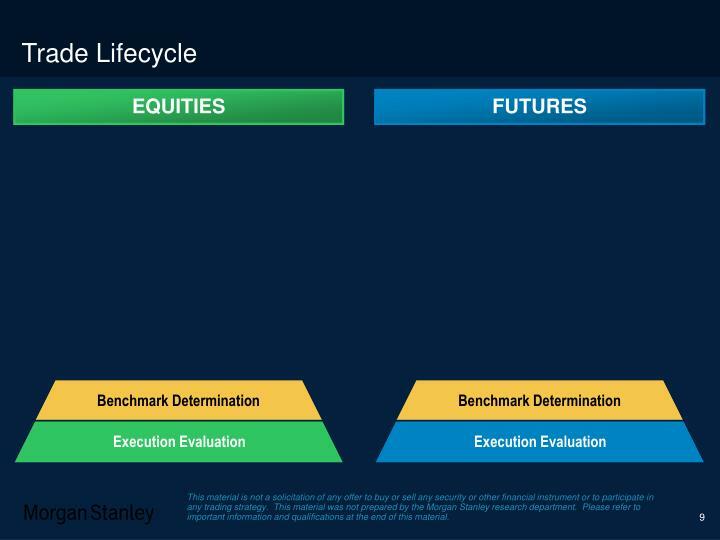 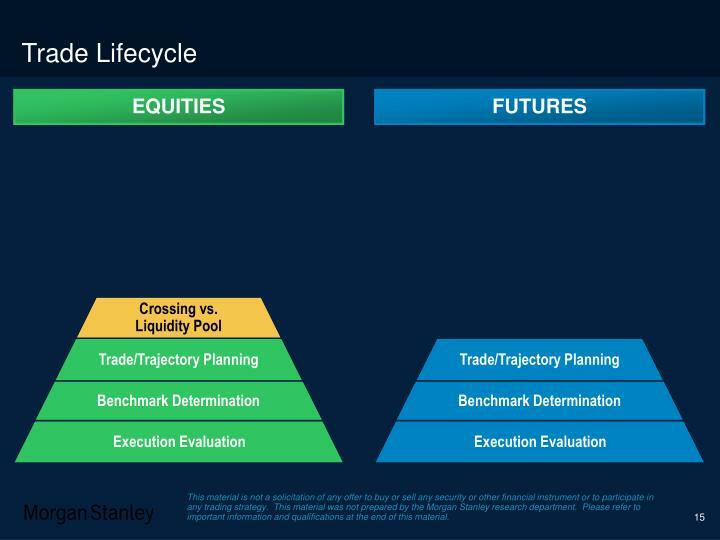 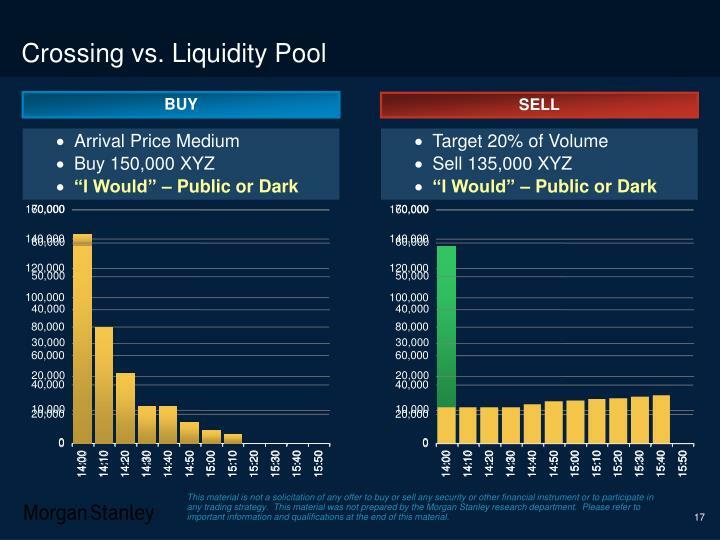 Morgan Stanley Institutional Securities. 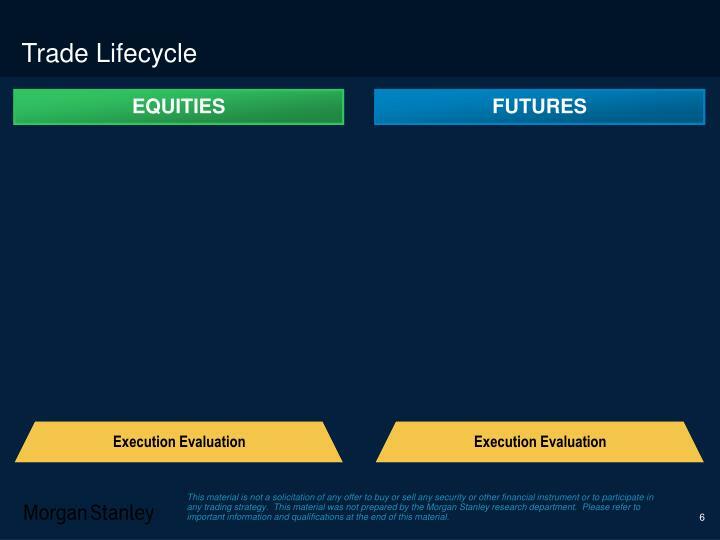 This material has been prepared for information purposes to support the promotion or marketing of the transaction or matters addressed herein. 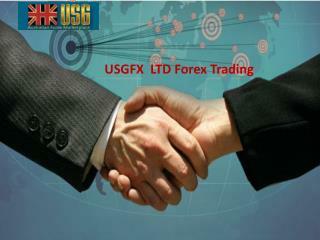 It is not a solicitation of any offer to buy or sell any security, commodity or other financial instrument or to participate in any trading strategy. 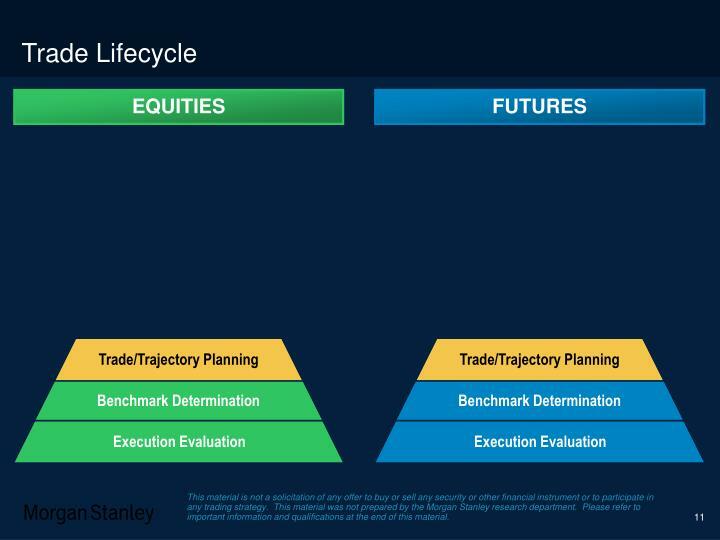 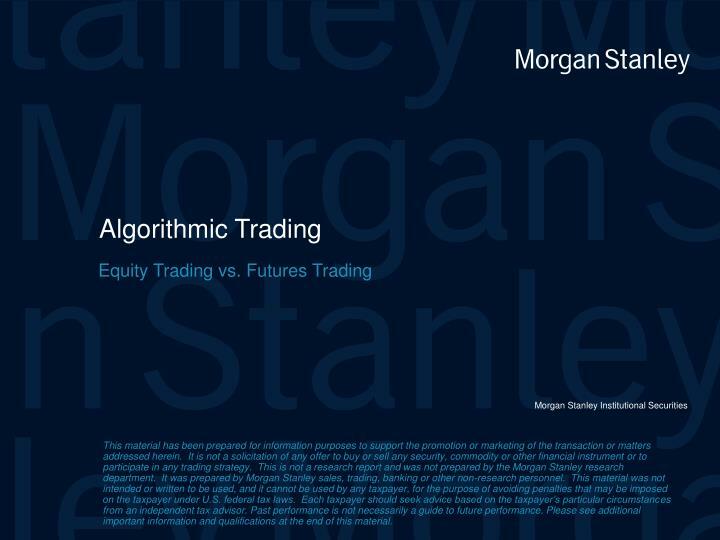 This is not a research report and was not prepared by the Morgan Stanley research department. 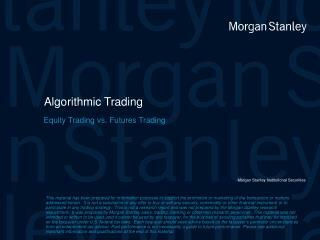 It was prepared by Morgan Stanley sales, trading, banking or other non-research personnel. 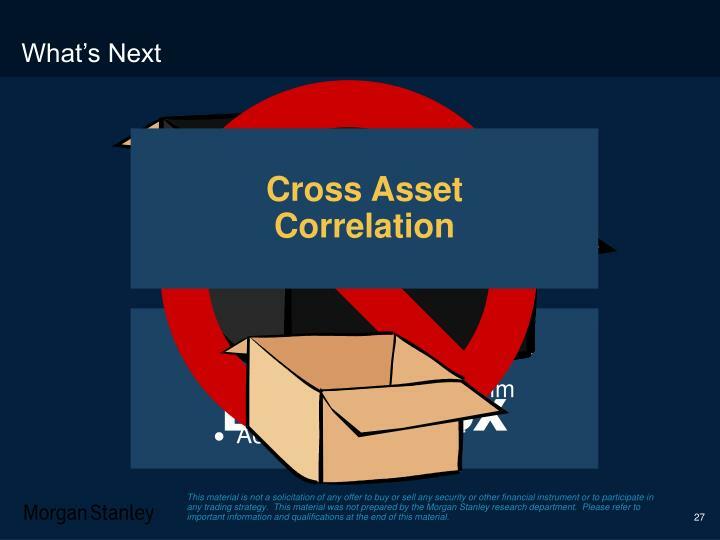 This material was not intended or written to be used, and it cannot be used by any taxpayer, for the purpose of avoiding penalties that may be imposed on the taxpayer under U.S. federal tax laws. 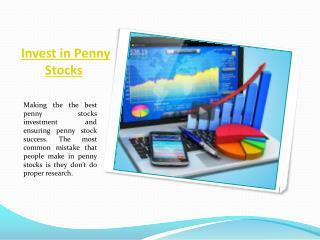 Each taxpayer should seek advice based on the taxpayer’s particular circumstances from an independent tax advisor. 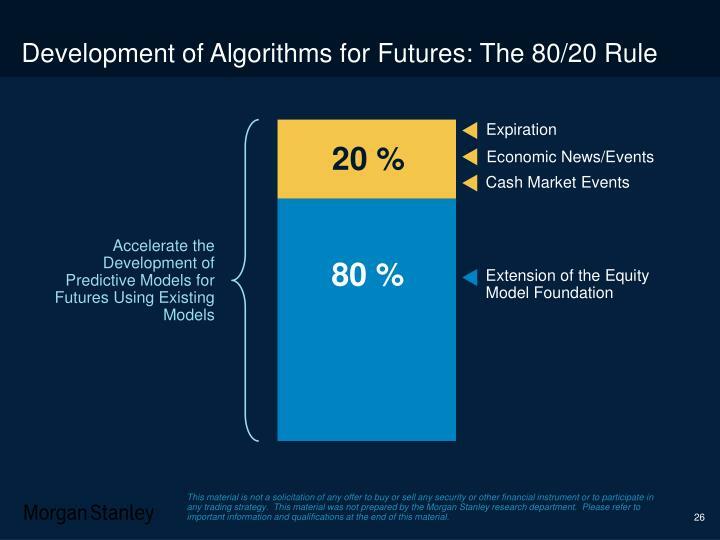 Past performance is not necessarily a guide to future performance. 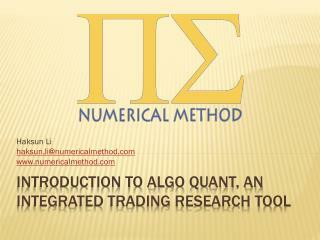 Please see additional important information and qualifications at the end of this material. 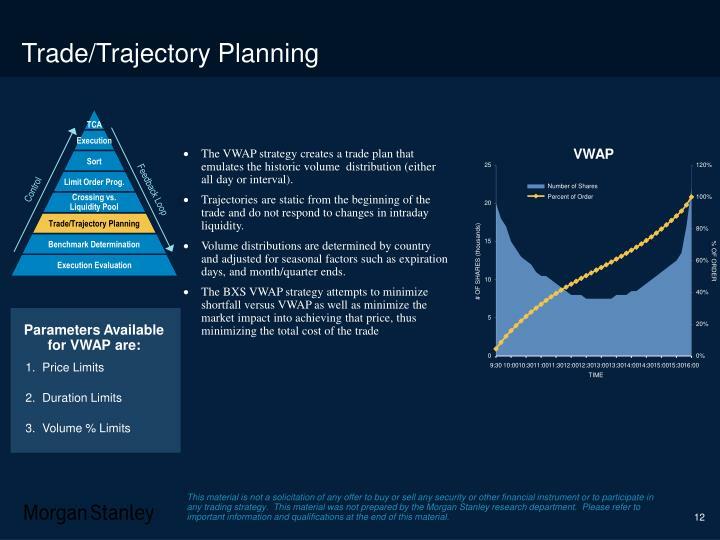 The VWAP strategy creates a trade plan that emulates the historic volume distribution (either all day or interval). 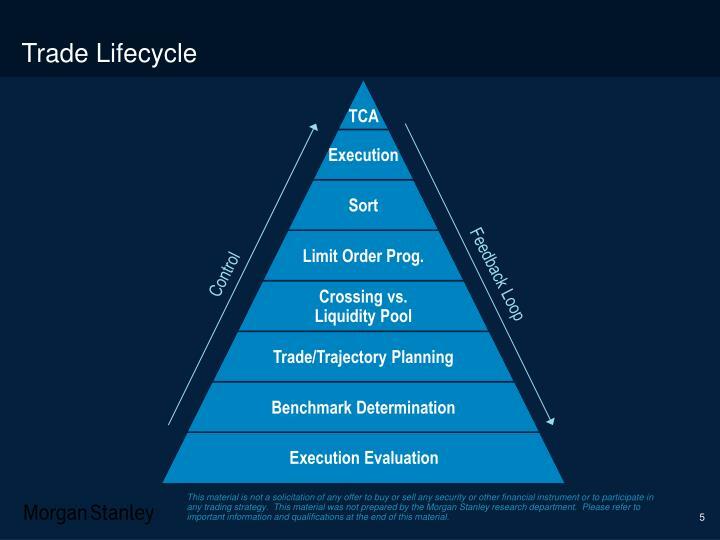 Trajectories are static from the beginning of the trade and do not respond to changes in intraday liquidity. 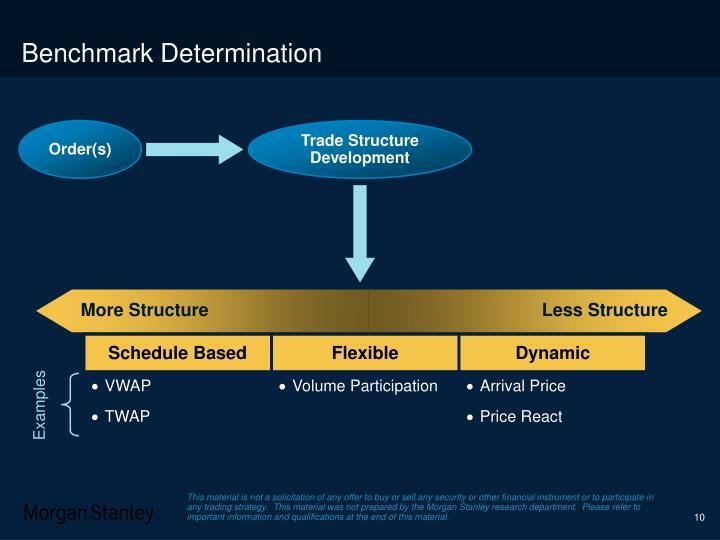 Volume distributions are determined by country and adjusted for seasonal factors such as expiration days, and month/quarter ends. 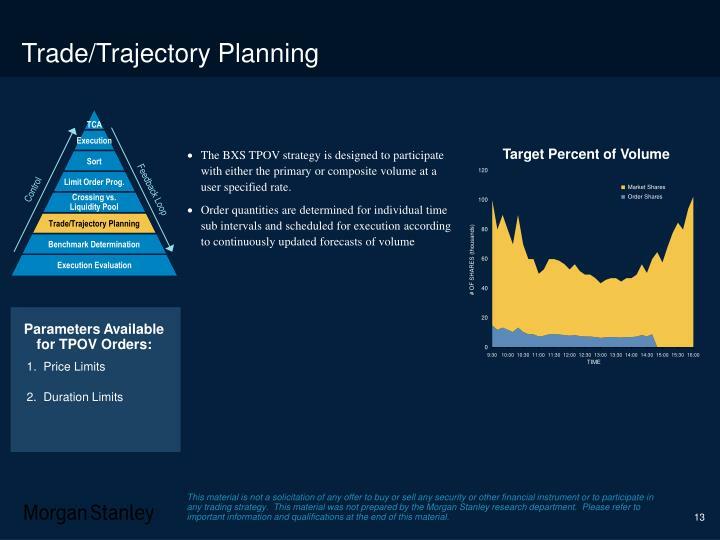 The BXS TPOV strategy is designed to participate with either the primary or composite volume at a user specified rate. 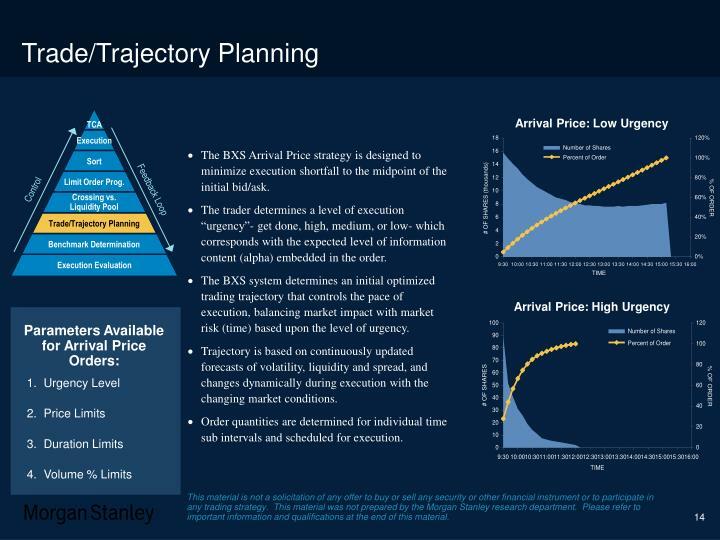 The BXS Arrival Price strategy is designed to minimize execution shortfall to the midpoint of the initial bid/ask. 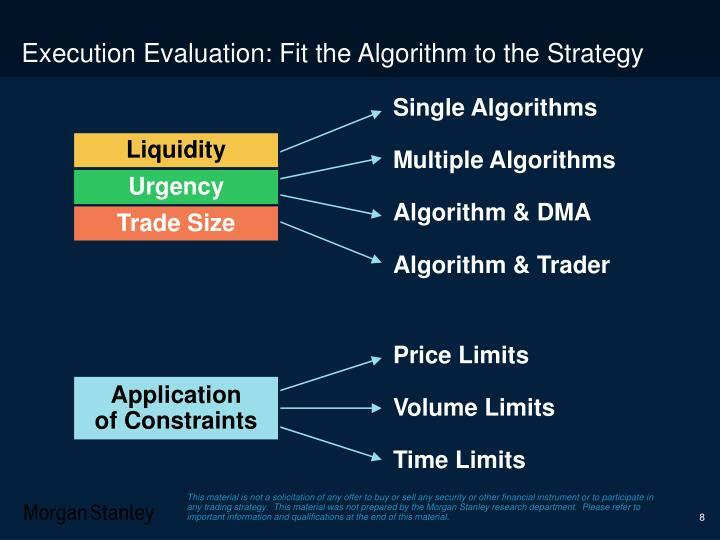 The trader determines a level of execution “urgency”- get done, high, medium, or low- which corresponds with the expected level of information content (alpha) embedded in the order. 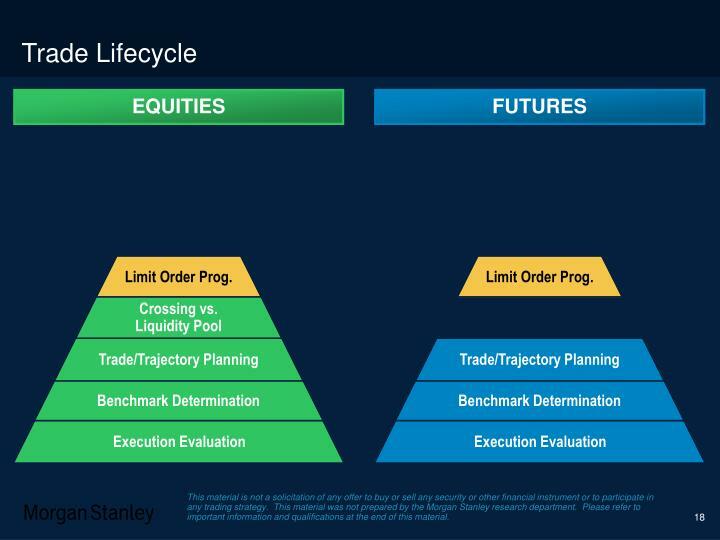 The BXS system determines an initial optimized trading trajectory that controls the pace of execution, balancing market impact with market risk (time) based upon the level of urgency. 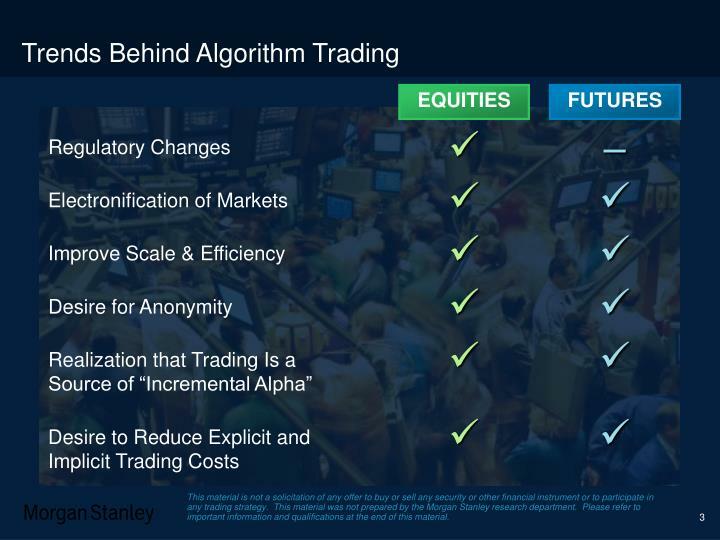 Trajectory is based on continuously updated forecasts of volatility, liquidity and spread, and changes dynamically during execution with the changing market conditions. 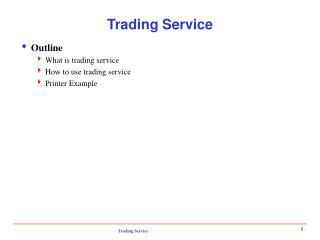 Order quantities are determined for individual time sub intervals and scheduled for execution. 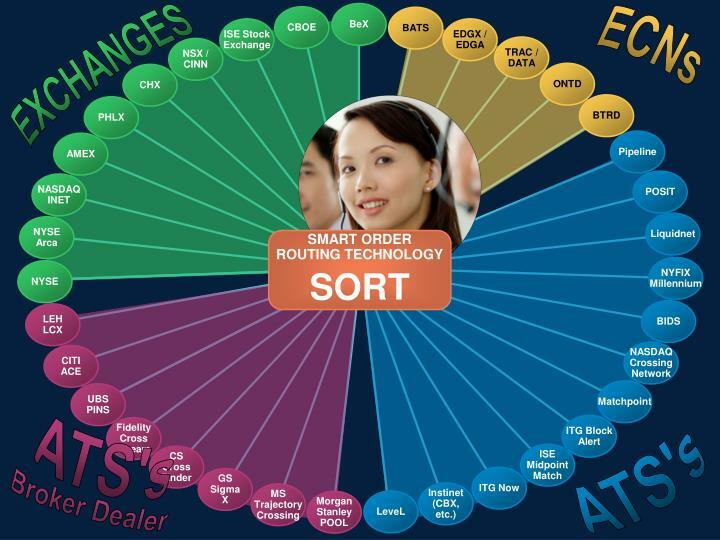 SORT is the vehicle through which BXS executes limit orders in the marketplace. 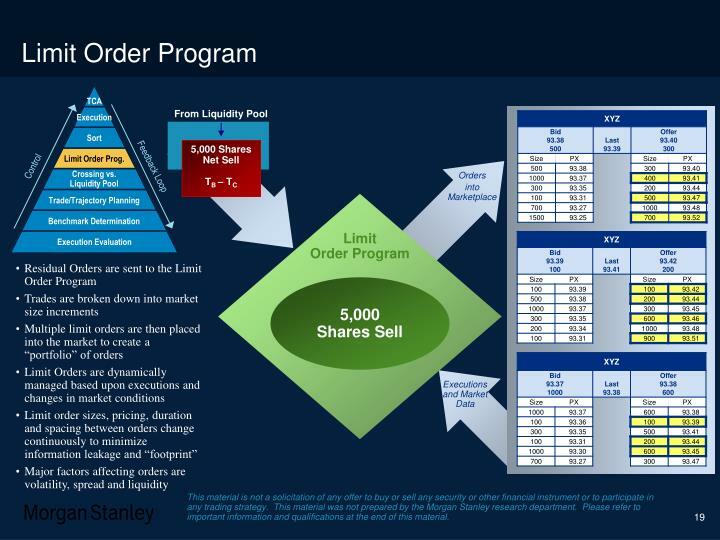 SORT creates a consolidated order book from all available liquidity pools. 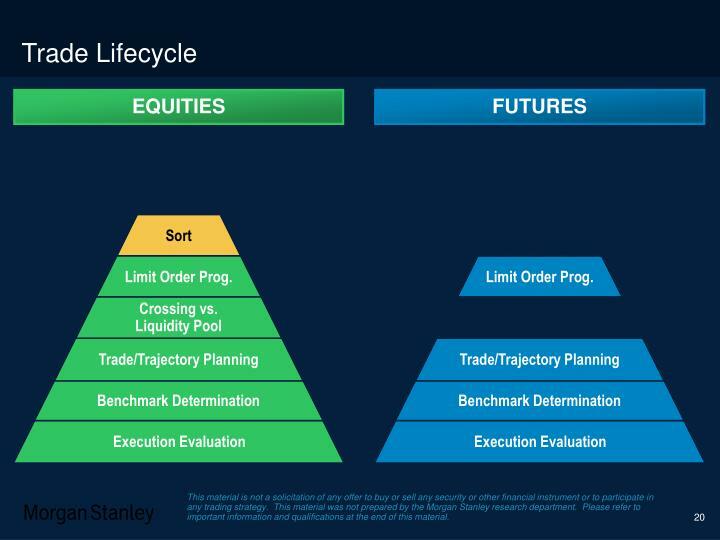 After the Limit Order Program determines the size and price of an individual order, SORT determines which liquidity pool(s) the order should be placed in. 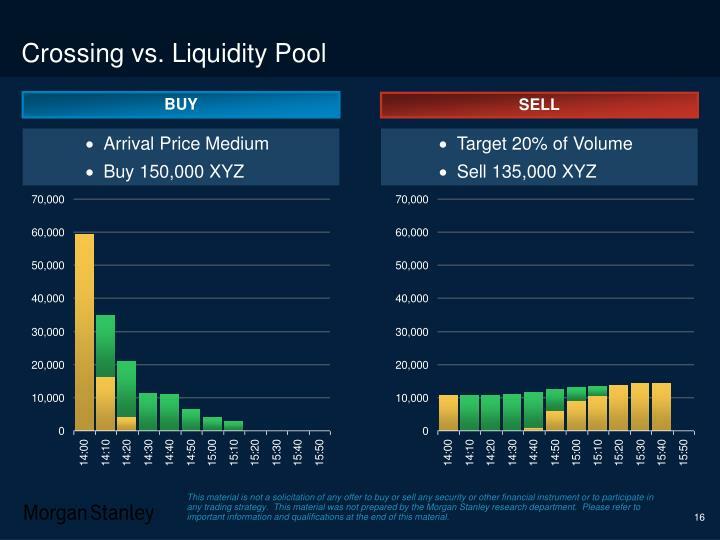 SORT will slice orders to access multiple liquidity pools simultaneously. 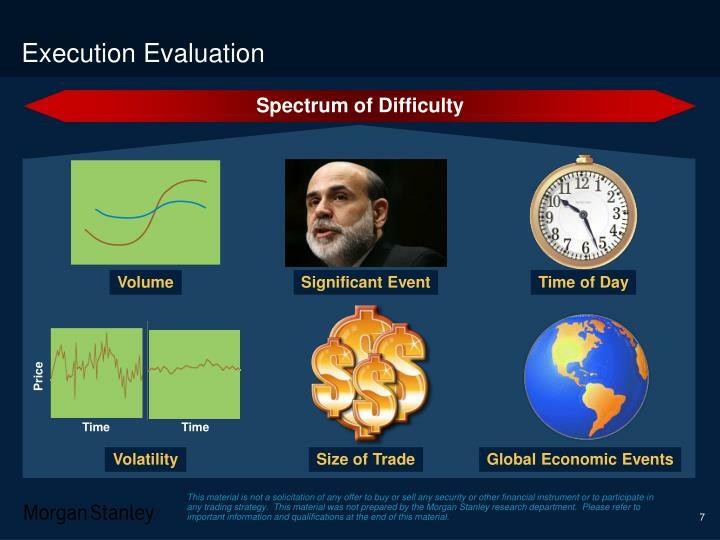 Major factors influencing the choice of destination include current and historical price, liquidity and speed. 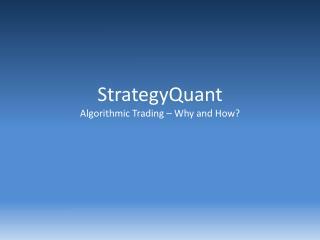 SORT is utilized for NASDAQ as well as Listed stocks orders. 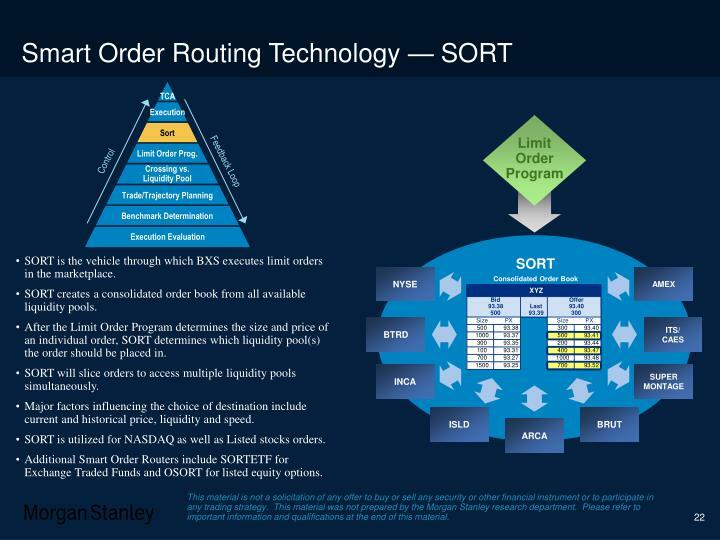 Additional Smart Order Routers include SORTETF for Exchange Traded Funds and OSORT for listed equity options. 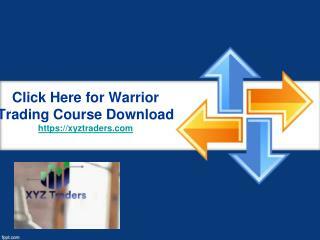 Click Here for Warrior Trading Course Download - Xyztraders.com -Warrior trading course download from https://xyztraders.com/day-trade-warrior-advanced-day-trading-course/ is a crazy option that can help you kick-start your career in forex trading. 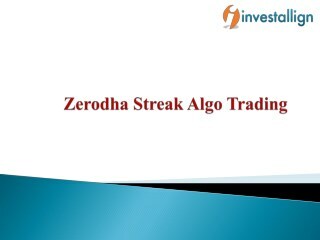 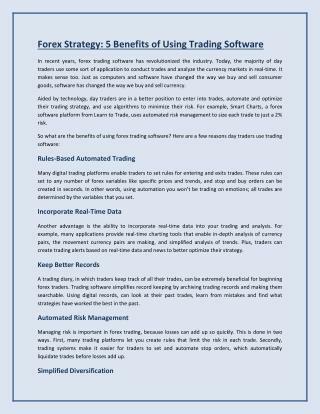 Basic Guide to Algo Trading -Better known as algo trading, traders everywhere are having huge success in abiding by these computer suggestions. 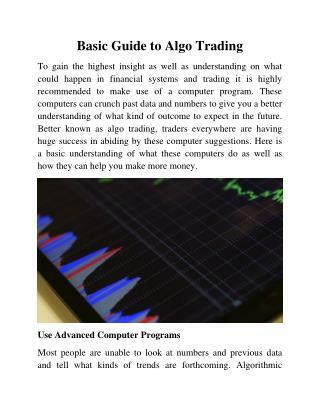 here is a basic understanding of what these computers do as well as how they can help you make more money. 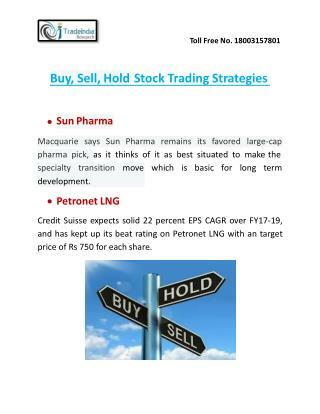 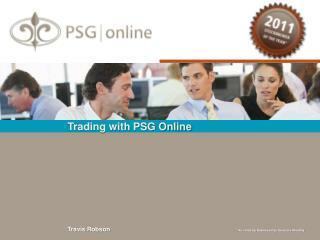 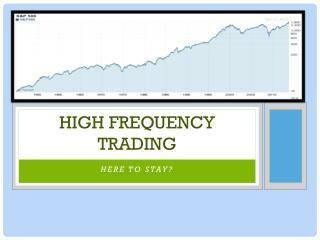 High Performance in Trading -. 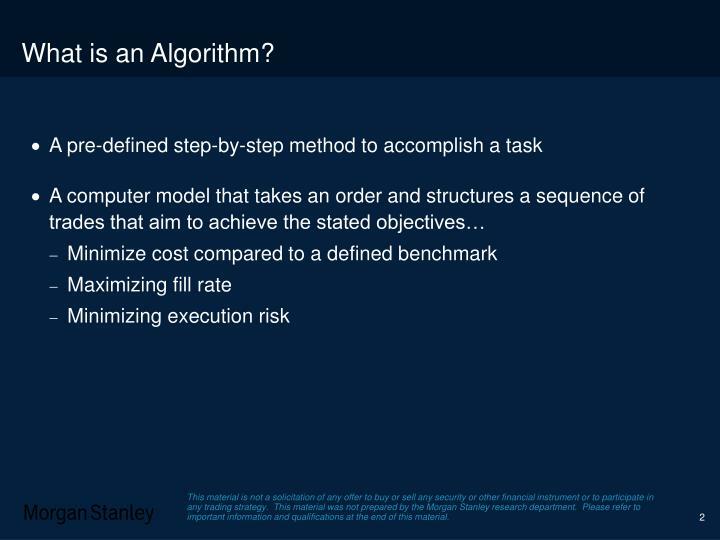 raymond russell, cto. 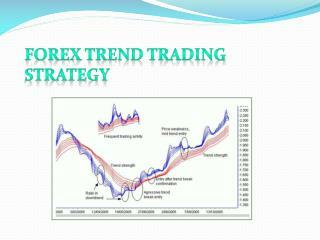 september 19, 2011. agenda. 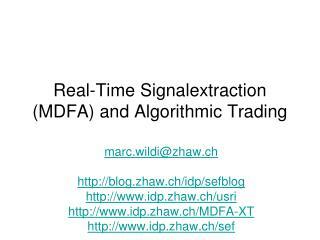 low-latency = high performance? 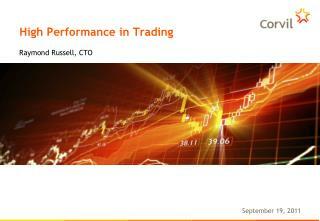 low-latency components trading system performance beyond latency. 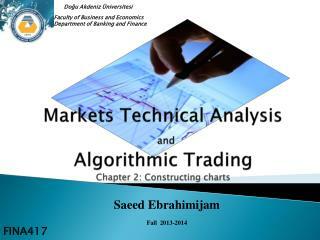 introduction to corvil. 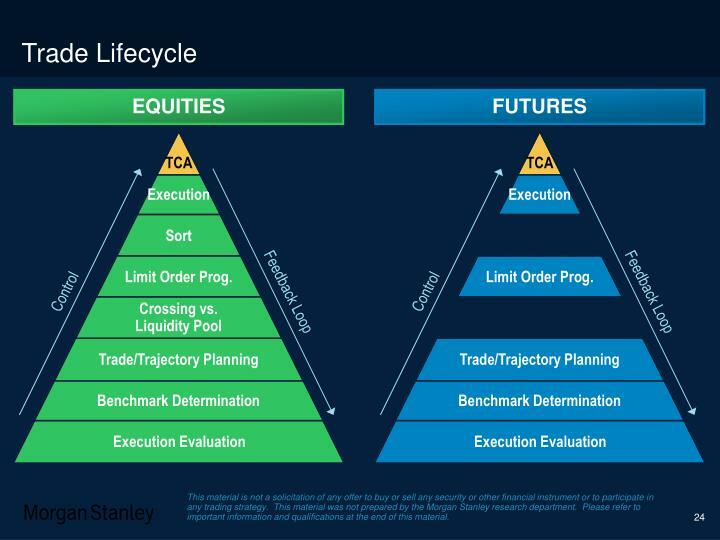 buy-side. 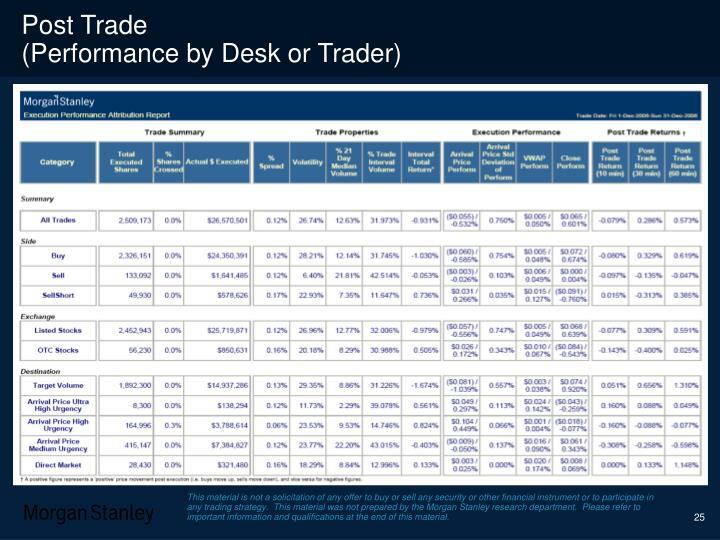 sell-side. 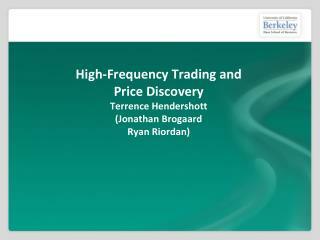 providers.